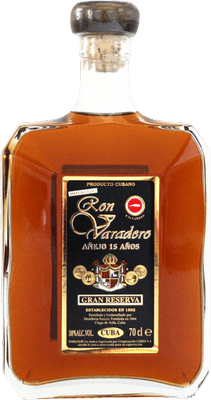 Have you found an online vendor selling Ron Varadero Añejo 15-Year? chut:docela prijemný jemnší rum s lehkým alkoholovým palením. It’s a classic Rum. No spiced, no flavored. That’s way this Rum don’t have strong aroma to. It’s Just true classic Rum - how it is, nothing more or less. Dry, oak and woody. This is a fine product, but for me nothing special. And if we take a look on price, I’m sure, we can find something more interesting for this money. I’m glad to try it, but I guess I don’t buy it again for that price. Tried this one in a bar, was served in a nosing glass. A decent cuban rum with character. La verdad espera mucho mas de este ron, no es malo, pero tienen demasiado sabor a madera. Tried the Ron Varadero Anejo 15 year old rum during my last visit to Havana and it had good flavors, but it was surprisingly dry and had a strong burn at the end. It has a lot of promise, but far from the best Cuban rums. The Looks - The bottle looks kind of ok, label is probably printed on some very old printer with few ink colors, cork is absolute disaster here - oozy, crumbly, almost like it is about to get mold. Very shocking experience for 15y old rum. On top - once I opened it I cannot really closed it again, because pieces of cork fall off, so the cork is not sticking to the bottle now. The Rum - not terrible, dry rum with some caramel tones but nothing to remember or come back to. Plenty of similar ordinary rums out there for more reasonable prices. First Honey and fruits then wood spice and nuts. Not the classic sweet or spicy one but worth a try. It's not bad but I drink more nice rums. It's to plate and the aftertaste is usually. Absolutely one of the best rums I have ever tapsted. From the note to the explosion on your palate. This is amazing rum. Complex, yet not overwhelming, sweet but not too sweet and a very long aftertaste. This is good stuff! Un ron con cuerpo, seco, clásico, sin aromas ni sabores extras. Tonos naturales de madera, vainilla. Top Rum. Bought it accidentally as I found a great offer. The bottel had 2 labels, one over the other. It seems Varadero 15yo was named before Caribean Club 15yo, so it seems I got a older bottle. 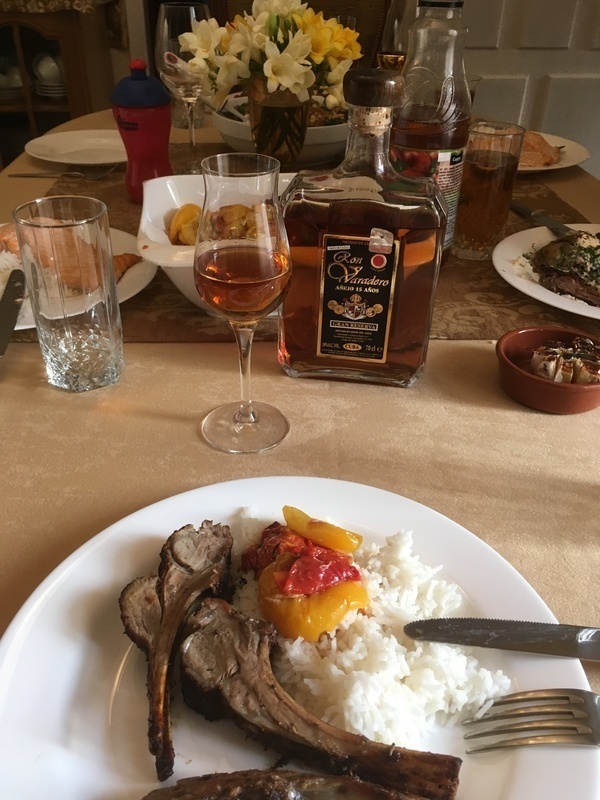 The taste was the smoothest cuban rum I ever tried, a bit of wood and leather, not sweet, but not dry, tasty but not too complex. Very well balanced, specially for a cuban. Would recommend it absolutely. It has become my first choice for sipping now. Had to review my initial rating to give it one more star after the second bottle. Wonderful simply with ice. It makes a good mixer too, but I think it costs too much for mixing (but after seeing what happens to Zacapa 23 Solera thats not even worth to mix at a similar price I think this should be said). I think this one is for real important moments, not a everyday drink.